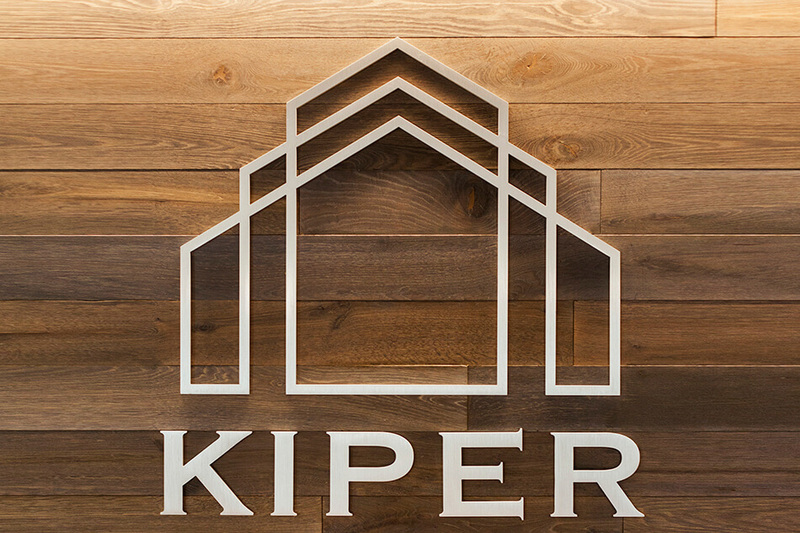 Upon acquiring a building for the relocation of their corporate offices, Kiper Homes engaged RBA’s services for an all-inclusive modernization and redesign of the building interiors, façade, and site. 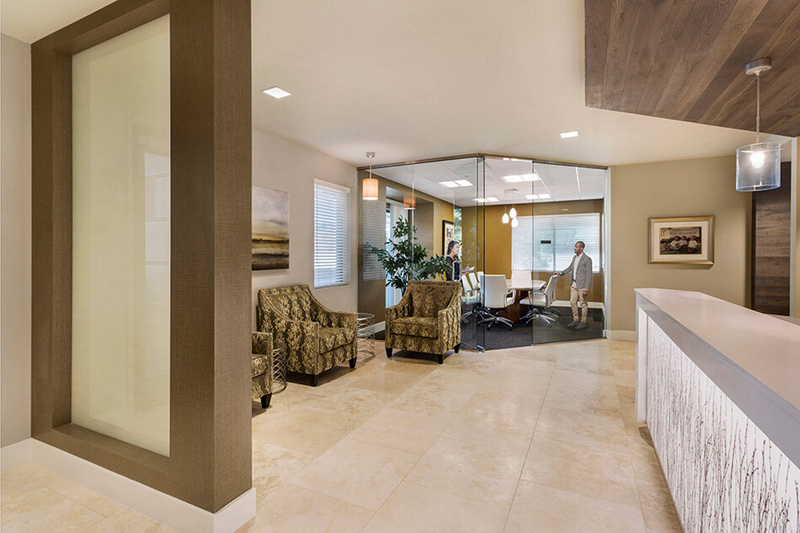 The remodel included the planning and design of the interior office space and all common areas, including new glass stair rails and a complete elevator retrofit. 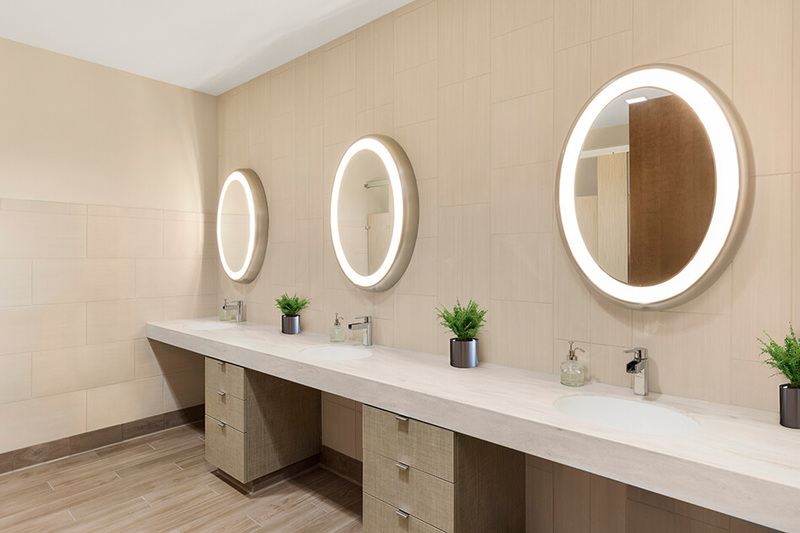 The design intent was one of a timeless quality, utilizing a palette of organic materials throughout the space. 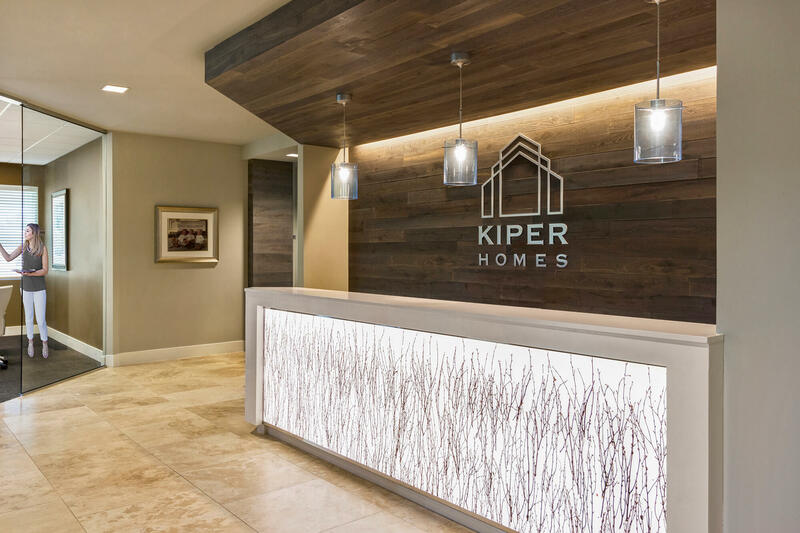 The custom reception desk, designed by RBA, features a back-lit organic birch grove inset and is surrounded by a wood plank feature wall and soffit. 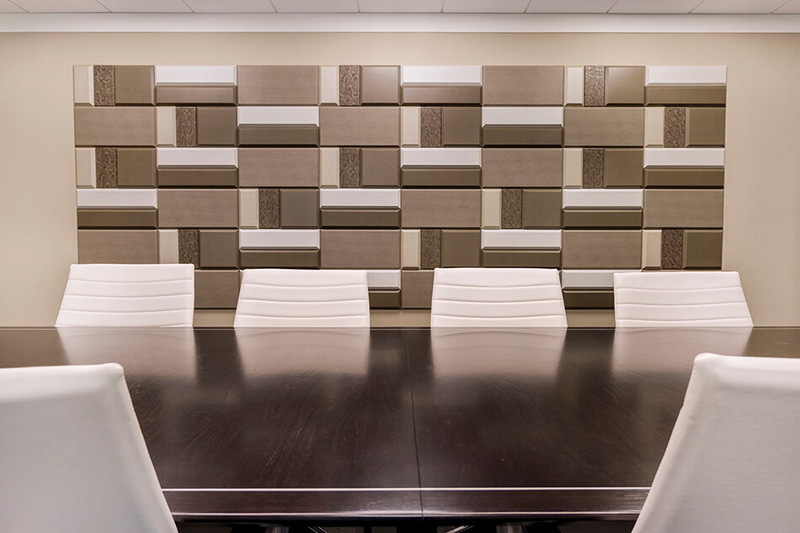 The glass enclosed boardroom features a statement wall that encompasses an artistic arrangement of custom designed, hand crafted, faux leather wrapped mosaic tiles which offer both a sense of warmth and dimension to the room. 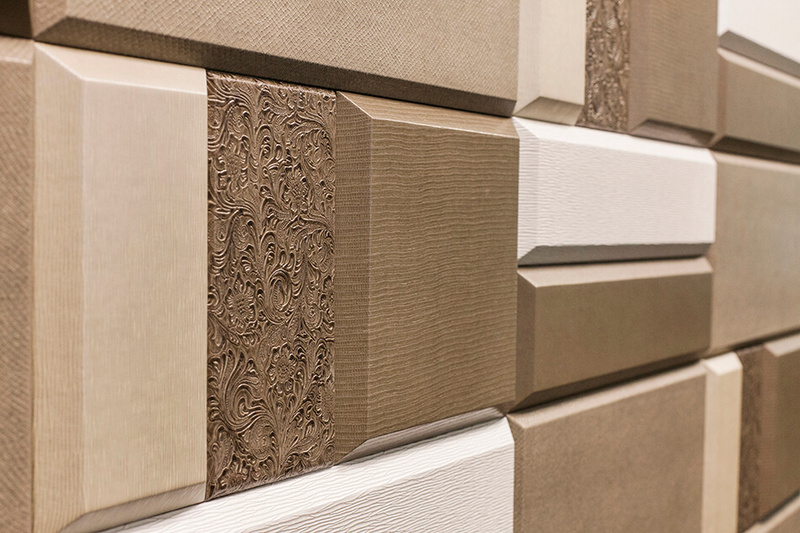 RBA’s team worked closely with the founding members of this family owned business, as well as the up and coming generation, to create a design that would appeal to all generations and stand the test of time.